Since most home valuation sites comprise at least one year worth of historical sales, they must (educate and) allow users to time-adjust the older sales considering the fact that four very similar sales from the prior quarters - unadjusted for the time of sale - are not usable as comps. Additionally, they should allow users the flexibility to choose a valuation date other than the current date, meaning a forward or a backward date as well. When a backward date is selected, the newer sales (past the valuation date) would be adjusted back to that date. 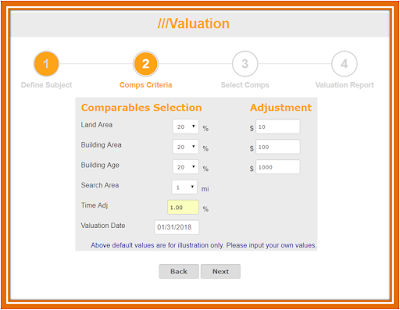 This flexibility allows Tax Assessors and Portfolio Managers to choose a different valuation date in line with requirements, often experimentally (e.g., does a forward sales sample validate the output of the modeling sales sample?). The first snapshot shows how to time-adjust sales at 12% GROWTH annually (1.00% per mo) to arrive at the subject value for a forward date of 01-31-2018, while the second snapshot shows a time adjustment @ 6% annually (0.50% per mo) to a backward date of 06-30-2017. Of course, to account for a negative price growth, use negative (-) in front of the adjustment. Upon application of the time adjustment to the sales population, the sale prices are replaced in the analysis by the adjusted sale prices, contributing to the valuation of the subject. 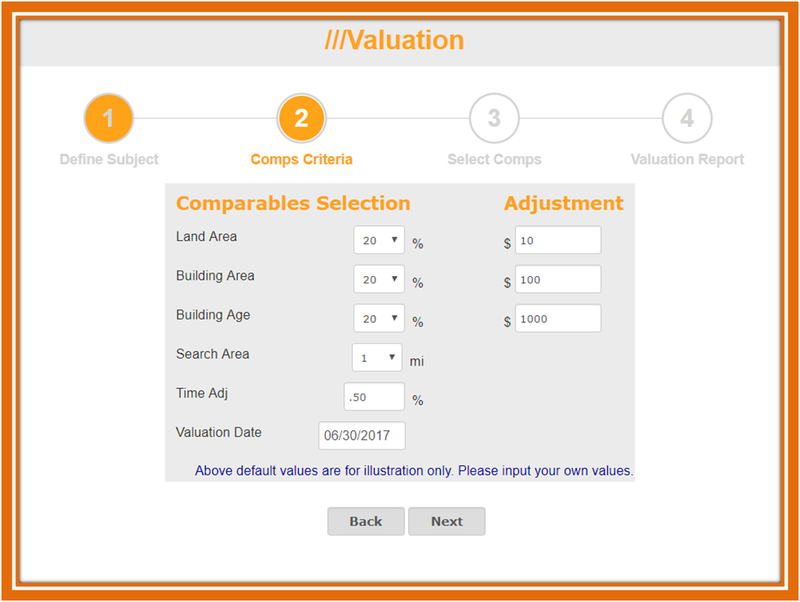 I picked the above graphics from Homequant.com as I own and operate it, to avoid having to deal with any copyright issues. My Homequant site is totally self-directed (no modeled values), totally free (no strings), and requires no login or registration whatsoever. Please use the system that works best for you. All time adjustments in Homequant are linear. 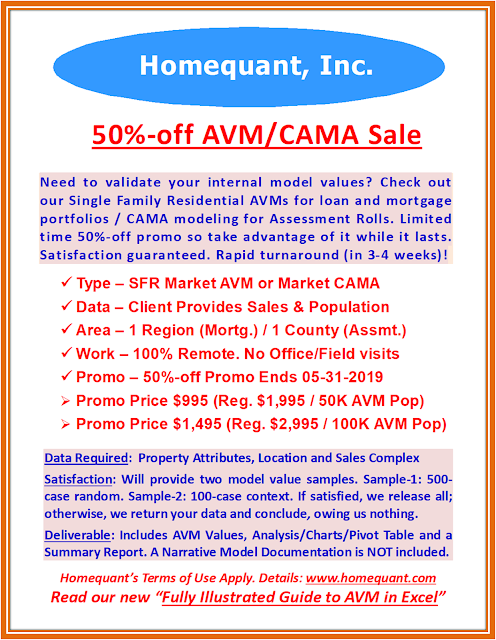 In Automated Valuation Modeling (AVM), non-linear adjustments are often used as AVMs usually require longer sales stretches, generally 18 to 24 months. If you are trying to understand how to make advanced non-linear adjustments, please check out my recent book on AVM "An Illustrated Guide to Automated Valuation Modeling (AVM) in Excel..." on Amazon.